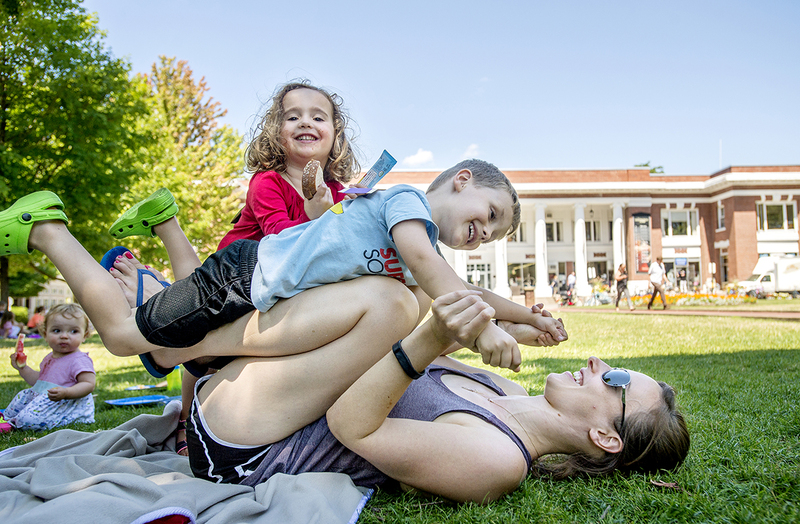 Alli Wannop plays with her children Will, 4, and Tory, 3, during the Promise Celebration Tuesday, August 2, 2016 on Bestor Plaza. 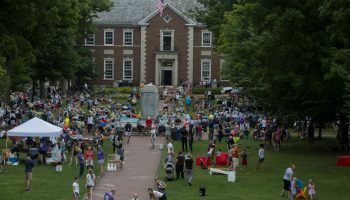 Bestor Plaza will be the site of several festivities throughout Tuesday in celebration of Chautauqua Institution’s birthday. 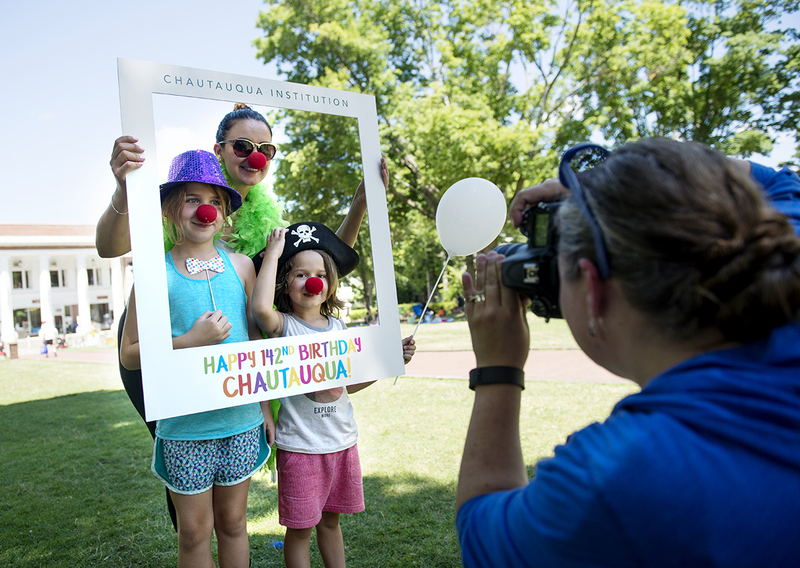 Leading up to the Old First Night celebration at 6:45 p.m. in the Amphitheater, the Chautauqua Foundation will host a variety of activities to help the community get into the birthday spirit. 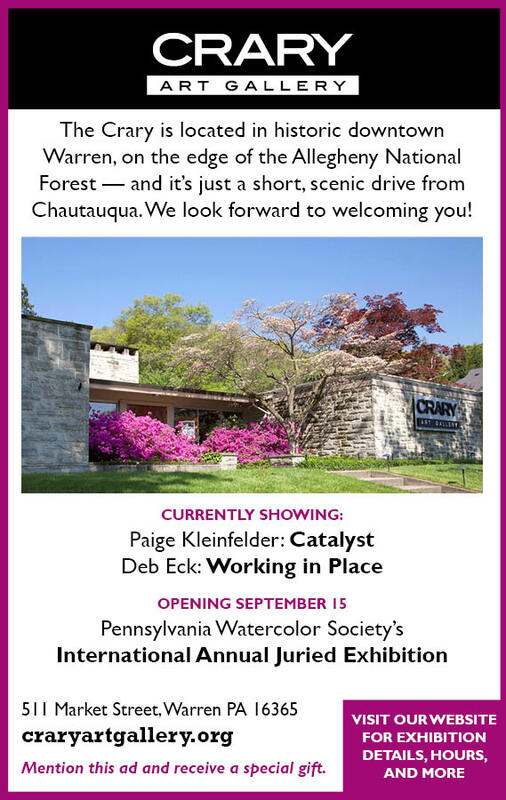 “(It will be) a fun-filled, carnival kind of atmosphere,” said Cathy Nowosielski, co-chair of the Chautauqua Fund. A bounce house, photo booth with props and rock painting (because #CHQrocks) are a few of the family-friendly activities that will be found on the plaza from noon to 2 p.m. 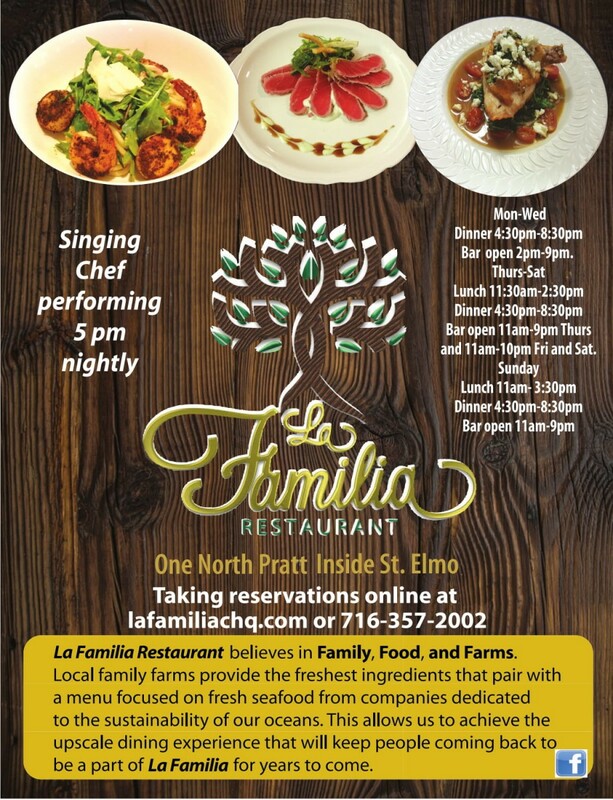 The Chautauqua Community Band will perform at 12:15 p.m. followed by a preview performance from Playing by Air, the Family Entertainment Series act that is scheduled to perform at 7:30 p.m. that evening. 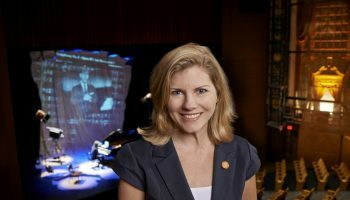 “It’s a fun day to celebrate Chautauqua, and to express gratitude for the collective support of the community in making possible the programs everyone enjoys here,” said Megan Sorenson, associate director of the Chautauqua Fund. The Foundation will be selling paper lanterns for $5 in the Foundation’s tent to reinvigorate the OFN tradition of lighting up porches in the evening, and people are encouraged to make a birthday “gift” to Chautauqua’s annual fund. 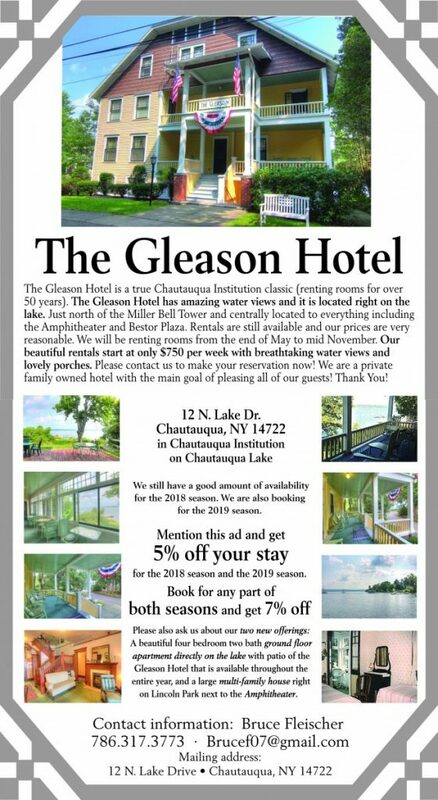 All contributions from the day will go directly to the 2017 Chautauqua Fund, and those who make a gift will be entered into the drawing to win the OFN giveaway prize, the results of which will be announced that evening in the Amphitheater. Community members are invited to bring a picnic to the plaza, or purchase boxed lunches from the Athenaeum Hotel for $10 each. 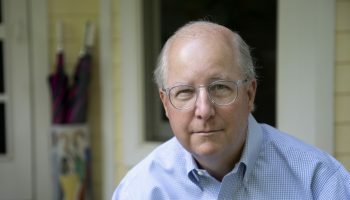 For dessert, Herb Keyser will be selling his famous lemon tarts along with other treats, and children are encouraged to set up activities such as a lemonade stand where proceeds benefit the annual fund.